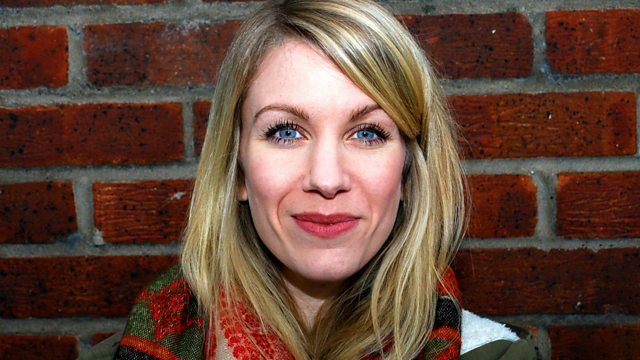 Comedian Rachel Parris talks to Michael Berkeley about her musical passions, and how her life as a classical musician led to her career in improvised comedy and on television. The comedian Rachel Parris talks to Michael Berkeley about her musical passions and how her life as a classical musician led to her career in comedy. Her hugely versatile career includes improvised comedy shows, stand-up, musical comedy and appearances on Radio 4’s The Now Show. She’s caused quite a stir with her hilarious turns as a faux-naïve reporter on BBC2’s satirical news show The Mash Report. During her teens Rachel thought she would have a career as a classical musician –– she has a Music degree from Oxford, she’s an accomplished singer, and an excellent pianist; indeed, until recently she was a piano teacher. Rachel talks to Michael about how she moved from music to comedy via drama school and how music still has a central place in her life. Her choices of pieces reflect the breadth of her musical passions, from a recording of Tallis in which she sings, to Bernstein and the American Songbook. She loves music that tells a story, particularly Rimsky-Korsakov’s Scheherazade, and music that makes her laugh, like Tom Lehrer’s songs. Rachel talks movingly about depression and her work with The Samaritans, and we hear music by Debussy which she finds a comfort in difficult times. Performer: Michel Schwalbé. Orchestra: Berlin Philharmonic Orchestra. Conductor: Herbert von Karajan. Choir: Magdala Choir. Conductor: David Skinner. Performer: Members of the Cast. Orchestra: English Chamber Orchestra. Conductor: Matthew Best.